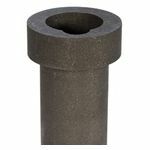 Graphite crucibles are used in electric melters or high frequency melting machines. Graphite possesses a special quality that assists in the control of oxides in the moltenmetal. 30 oz. 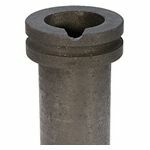 Graphite Crucible for Kerr Mini Melting Furnaces.